Dr. Yu’s philosophy towards patient care is the same philosophy she chooses for her own health. “I believe in educating myself and my patients on many options for their health. I love the benefits of holistic health options and balance that with the latest in medical treatment. When you know the options, you can pick and choose to individualize and optimize your healthcare. I believe in finding root causes and treating the process that causes the problem so we don’t have to band-aid all the end results instead. 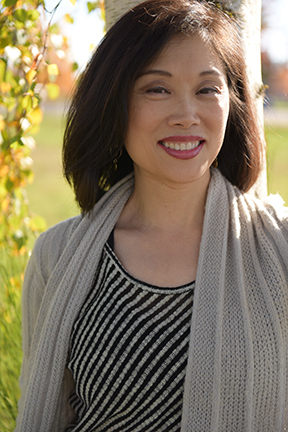 Dr.Yu has an ongoing interest in physical medicine. She enjoys providing the latest in her treatment of musculoskeletal disorders. She is an expert in the use of injections with steroids or for those who prefer a more natural option, injections with homeopathic medicinals. These injections can be used for mesotherapy, trigger point injections and joint injections. They can be used to treat any joint pain, contractures, neck pain, low back pain, hip pain, and fibromyalgia. She works with chiropractors, acupuncturists, physical therapists to give musculoskeletal issues a truly thorough approach to support patients who desire an integrative approach. Dr. Yu loves to collaborate with other providers to provide a truly integrated healthcare experience for faster recovery. Dr. Yu attended UCLA undergraduate (majoring in history, yes some of us are educated in the humanities) and medical school. She completed her residency at Kaiser, Los Angeles in family medicine and later worked for Kaiser in Pasadena. She and her family moved to Portland a decade ago, and since that time, she has worked for a large medical group where she was the medical director. With a strong belief in integrating medical and holistic care, she’s left corporate medicine behind is now the medical director of SFM. She enjoys public speaking, educating other providers and patients. She's given lectures and workshops that support an functional medicine approach to health. Dr. Yu is a working mother of two children. She "enjoys" getting her bootie kicked in Mancala and Yatzee by her youngest, and hearing all about legos from her oldest. She enjoys writing, painting and cooking, finding them very relaxing and creative. She’s recently realized her dream of cooking on a traeger grill… and professes, “once you’ve gone traeger…you can’t go back.” She loves to travel, walk in the rain, and loves to go to the Oregon coast with her family. To review the benefits of walking in the rain.., press rewind to childhood 🙂 And she can dance like there is no tomorrow!